I kind of missed the “I”. Being a casual comics guy is hard these days. Last week, I stopped in at the local comic book shop and grabbed a handful of titles, just to catch up on things. 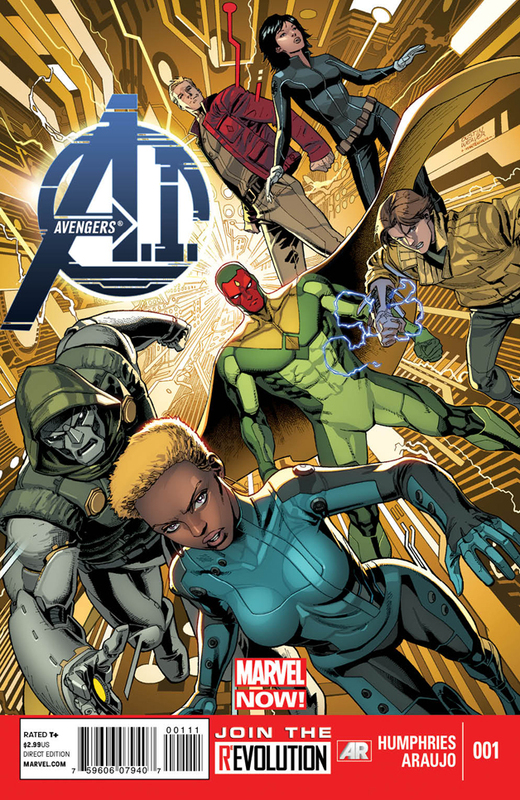 One of the “hot picks” of the week was Avengers A.I. #1. Why would I try my luck on such a complicated premise, you might ask? Just look at the cover. There’s a big Avengers logo with the word “Avengers” and the #1. Being overwhelmed with the wall of comics and the amount of things I didn’t recognize, I gravitated to the Avengers logo. As in my review of “Deadpool Kills Deadpool”, I assumed that a first issue of anything would be a good jumping off point. 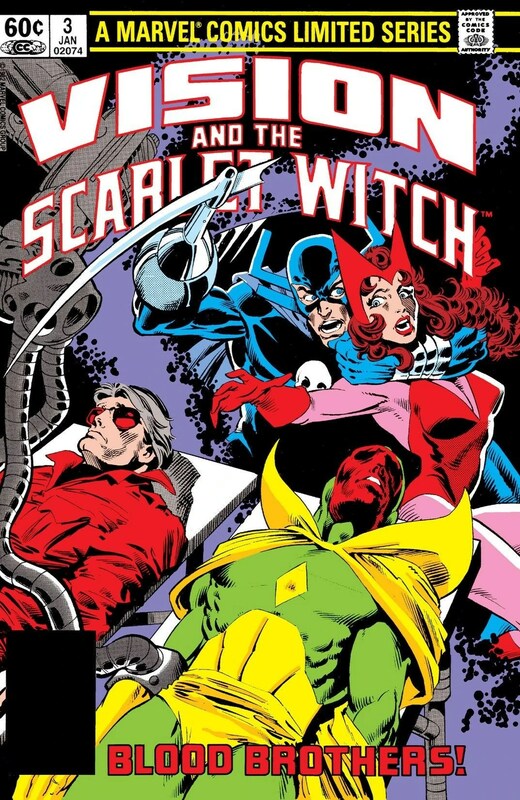 Plus, why is Doctor Doom now fighting with the Avengers? I wanted to know. Besides, what even is an Avengers A.I.? How was I supposed to know that’s a real thing? I didn’t understand good chunks of the story, but I did like what I got. Even though this is an “Avengers” comic, Captain America turns up for just four panels. I guess they’re letting anyone use that name now. 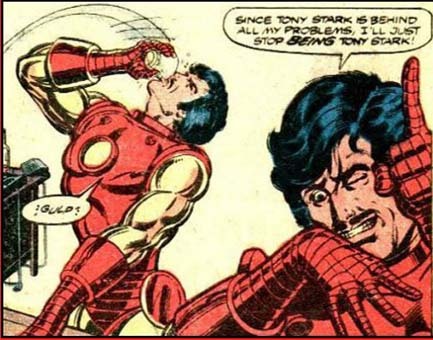 Tony Stark may want to look into copyright infringement laws. 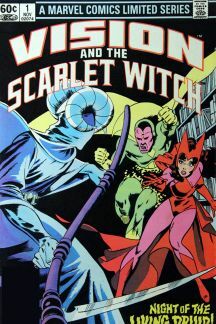 The story: So, Hank Pym has messed up something, again, and is the only person who can fix it… again. Here’s what I understood. There was an event called “The Age of Ultron”, but I missed it. The recap said something about time travel… killing Hank Pym in the past to stop Ultron… oh, no, that caused more problems… future and present Hank Pym had to save past Hank Pym, but Hank changed somehow and now there are “unanticipated consequences”. Man, I don’t know if reading the full “Age of Ultron” series made it easier to understand, but the recap gave me vertigo. Having wildly messed things up in the “Age of Ultron”, surprise, things are falling apart. The A.I. 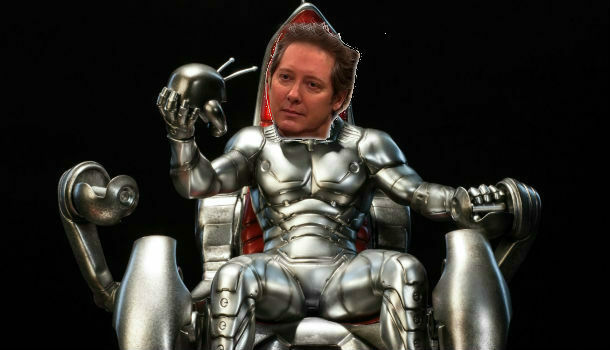 Hank Pym created to destroy Ultron is now, itself, a threat. When will this guy learn? There’s a throwaway line in the comic about Tony Stark being “off planet” and Reed Richards being in another dimension, which explains why S.H.I.E.L.D. 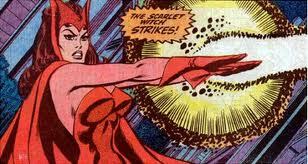 is still willing to work with Hank Pym. All the really smart guys are on vacation. Like I said, it’s all very confusing, and I never thought Hank Pym was a likeable character. But, I still liked the book. First, there’s a scene where Hank Pym grows to giant size and is supposed to appear threatening. I don’t know if it’s intentional or not, but that scene is hilarious because he looks more constipated than anything else. Also, Hank Pym gets punched in the face and that’s a bonus. The Vision is extremely interesting, and watching him evolve himself was intriguing. The sci-fi element of the comic is much stronger than its action or adventure content. The best addition to the comic is the Doombot. Still retaining its original personality, that of Dr. Doom, it has now been programmed to serve the Avengers. I’m still not sure why it would be a good idea for the Avengers to enlist a Doombot to help out, but I’m glad they did. If I see issue #2 on the shelf sometime, I’ll pick it up and give it another shot.